Sodium fluoride (NaF) and disodium octaborate tetrahydrate (DOT) are well-known fungicides for preventing and remediating decay in wood and wood structures, due to their excellent diffusion properties in wood. The efficacy of both compounds against drywood termites is, however, inadequately studied; there is a lack of information on the development of proper protection and control methods against drywood termites using these diffusible chemicals. In this study, the threshold values of fluoride and boron against drywood and subterranean termites and decay and mold fungi were assessed in laboratory conditions. Treated Cryptomeria japonica D. Don (sugi) sapwood specimens with four different concentrations of NaF and DOT applied by either dipping or vacuum processes were subjected to attack by drywood termites, Incisitermes minor (Hagen) for 6 weeks. Treated specimens were also tested against subterranean termites, Coptotermes formosanus Shiraki for 3 weeks. Laboratory decay and mold resistance tests were then performed to determine the efficacy of the compounds against fungal attack. 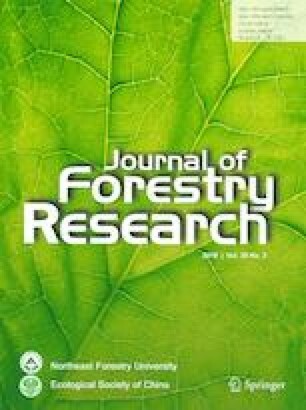 Results showed 80% or greater drywood termite mortality in wood specimens treated with NaF at a retention level of 1.7 kg m−3 or more. In DOT treated groups, higher retention levels (greater than 6.8 kg m−3) were needed to reach up to 80% or more termite mortality. In general, weight losses in NaF-treated specimens were slightly lower than those in DOT-treated ones. Retention levels of around 1.2 kg m−3 for NaF and 1.6 kg m−3 for DOT were high enough to reach the JIS K 1571 threshold requirement of weight loss less than 3% in subterranean termite resistance tests. Slightly higher termite mortality values were seen in the DOT than NaF treatments at respective retention levels. In decay resistance tests, no weight losses were seen at a NaF retention level of 2.3 kg m−3; however, a retention level of nearly 4 kg m−3 for DOT was needed for complete protection against both test fungi. In most cases, lower weight losses were obtained in NaF-treated specimens when compared to DOT. In mold resistance tests, neither NaF nor DOT at even the highest retention level was able to completely inhibit mold growth on the surfaces of treated specimens. Project funding: We gratefully acknowledge the Japan Society for the Promotion of Science (JSPS) for providing the first author a research opportunity at RISH, Kyoto University, Japan under the JSPS Invitational Fellowship. We gratefully acknowledge the Japan Society for the Promotion of Science (JSPS) for providing the first author a research opportunity at RISH, Kyoto University, Japan under the JSPS Invitational Fellowship.